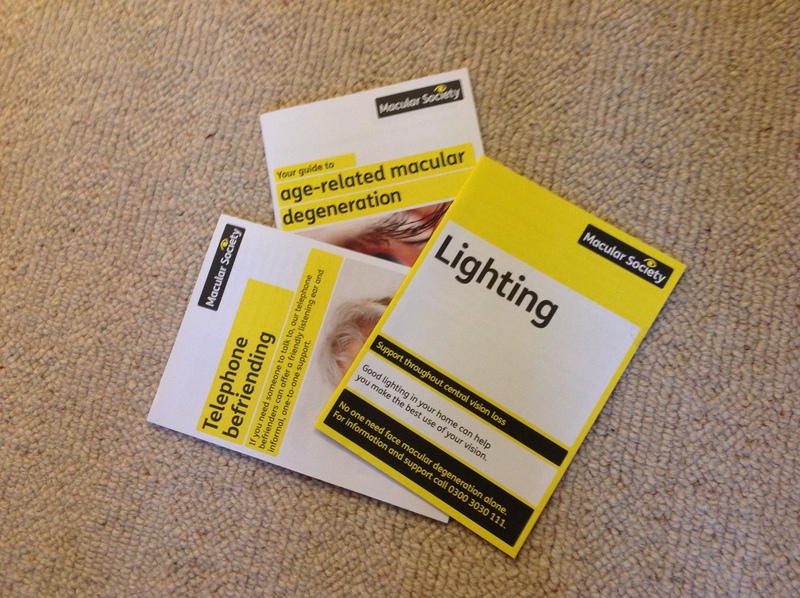 This year the Macular Society, UK invited its volunteers to a Volunteering and Networking and Development Event. Each time this event is held at a different venue and this year it was held in West Bromwich, Birmingham. What a weekend! The new New Street Station concourse opened under the new name of Grand Central (I hope this name is an example of Brummie irony denoting its situation in almost the precise centre of England), England played Fiji in the Rugby World Cup and won and sadly Aston Villa played a local derby against West Bromwich Albion and lost. Inside our comfortable hotel, we received the warmest of welcomes from the superbly organised Macular Society staff and Chief Executive, Cathy Yelf. Volunteers represent most ages and genders, (surprisingly, I saw no ethnic minority members) the majority with different forms of macular conditions. Many of us have WMD, some DMD and some rare forms of inherited sight loss. Some sighted volunteers work in this field while others have friends or relatives with forms of macular degeneration and VI. Three conscripted volunteers stole the show, Holly, Finch and soon to retire Brunel … beautifully behaved and very professional guide dogs. Two days of lively workshops gave us an opportunity to gather new skills, exchange information and explore new ideas. Networking at its best. As a telephone befriender, I found it helpful to share some of the pleasures and issues that arise; others worked on raising the profile of the Society and informing the public on the common existence of macular degeneration and the importance eye health. We played with useful gadgets assisting accessibility and we exchanged apps and programmes. Undoubtedly new technology will play a valuable role in the lives of people with VI. Because of the nature of age related macular degeneration, most of the participants, but not exclusively, were of pensionable age. Under the present government much emphasis is placed on the function of volunteers in charitable organisations and this gives pause for thought. There is a lot of useable energy and expertise out there. Some areas covered by volunteers are IT assistance either by phone or in person, telephone befriending, skills for living with VI training and information distribution. On a personal level, as a person with VI, I receive a lot of help, from my friends Liz and Mathew Dexter who edit and post this blog for me, and from the Macular Society, FOCUS in Birmingham, and Action for Blind People. I would say to any readers, sighted or VI, who have the time and would be interested to get in touch with one of these organisations, your help would be invaluable. The site links give some idea of the sort of help needed. Of course there are others but these are the ones I use. Google will help! I am not usually inclined to make public appeals so this one comes from the heart. This entry was posted in Age, Birmingham, Charity, Communication, Education, low vision, technology and tagged Birmingham, charity, education, low vision, technology, WMD. Bookmark the permalink. I think it’s wonderful that you volunteer in order to help others with your condition – very inspiring. We’re glad to be able to help support your blogging of course! Thanks for your lovely comment. I have volunteered in various capacities since retirement almost 20 years ago and find that it works both ways, often more to the volunteer’s benefit. Well, indeed – I’ve always found that in everything I’ve volunteered for, too!